Are you looking for the best party ever? 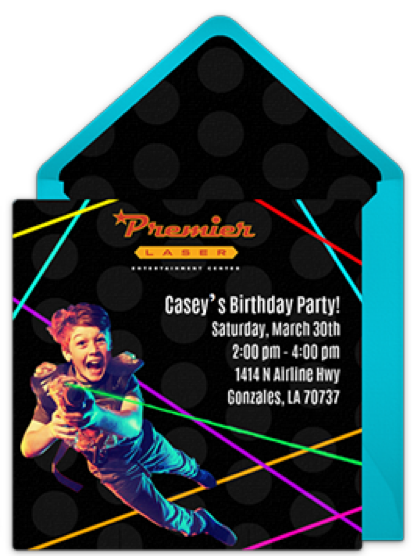 Throw the best birthday party for your friends at the most thrilling Laser tag arena in town. 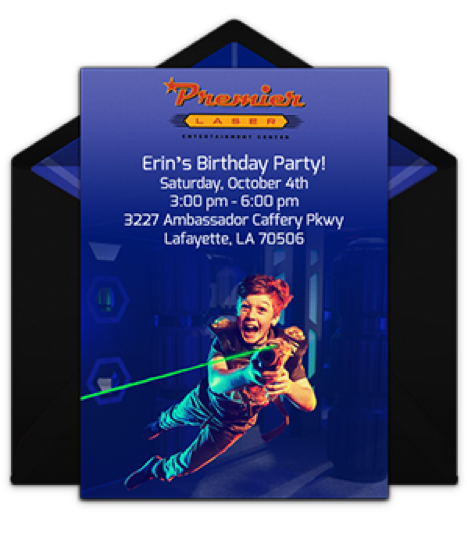 Premier Laser Tag lets you overcome the embarrassment of not being able to stay present on your friend’s previous birthday party by making you throw him the biggest birthday bash ever! Be it your kids or your friends which you are trying to please; Premier Laser Tag has the best birthday party options for each scenario. Just let us know what we want, and we will do our best to realize your expectations. We my host a maximum of 24 players in the Laser Tag arena. Our parties require a minimum of 10 kids. Tag Out your arena with a minimum of 18 participants, including 10 kids. A Tag Out reserves your arena just to your party. Parents that wish to play only cost $12 per person. Parents that wish to play only cost $8 per person. Introducing our all new digital invitations! 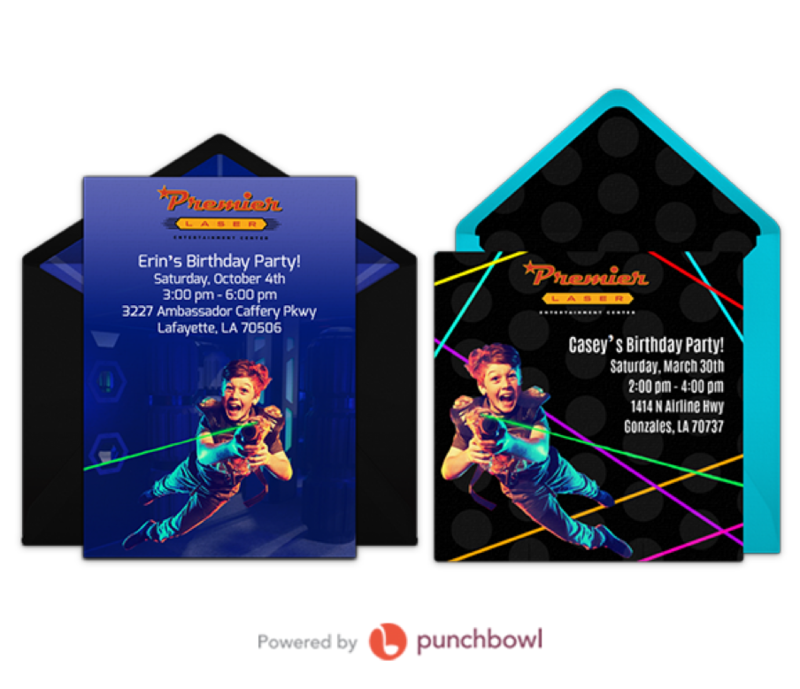 Set up your party and get a link to our all new digital invitations powered by punchbowl. Send your invitations through text or email and get immediate results with RSVP tracking! Select an Invitation to Get Started!